Almost every driver knows how important it is to receive regular information on your vehicle’s engine and body, but the routine checks you’ll get with third party mechanics simply aren’t going to catch every potential problem. At Porsche Fremont, our trained service technicians are now offering a complimentary multi-point inspection that will cover a wide variety of aspects relating to your vehicle’s performance. Luxury vehicles only operate at their best when every single component is functioning together, so you won’t want to miss this opportunity. A luxury car from Porsche can be a life-changing investment, but many squander this opportunity by failing to care for their vehicle over its lifespan. Owners who want to protect their Porsche have plenty of options for how to proceed, but intelligent motorists know that there’s no substitute for regular, thorough inspections performed by specialized, trained mechanics. 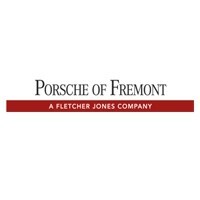 At Porsche Fremont, each of our technicians works exclusively with Porsche vehicles, and all of our repairs are carried out with Porsche Genuine Parts that will keep your vehicle running as though it just left the factory. The Porsche Multi-Point Inspection covers almost all aspects of your car’s instrumentation, and by taking advantage of our special offer, drivers in Fremont and Newark can start protecting their vehicle for the future. Curious drivers can learn more about regular maintenance by scheduling a service today.